Sunflower meal for stock feed is secondary product of the oil industry, manufactured by extraction of partially hulled sunflower seed. Sunflower meal color is brown to gray-brown. It contains 33% of proteins, at most 12% of moisture, max. 18% of raw fibre, and max. 8% of ash. Sunflower meal represents mixture of proteins rich nut and nutshell in approximate ratio of 60:40 and 65:35. It contains 14 g/kg of methionine and 20 g/kg of lysine. 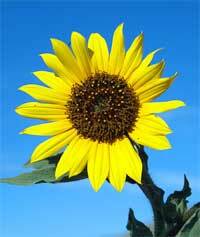 Sunflower meal is used in feed of broiler-chickens, poultry and ruminants. It gives excellent results in increasing growth and conversion for broiler-chickens. At the piglets feed, usage must be limited to 5-10% due to high level of cellulose, but for pregnant sows in lactation this product is beneficial for milkiness, and can be used at levels of 25-30%. Temperature in storage room should be below 9ºC. Sunflower meal is packed in 50-kilogram bags or in bulk. Basic requirements for all transport vehicles (regardless packaging) is cleanness, dryness, moisture protection, without foregin odors and strong odors at all, that there is no leftovers from previous transports.